The Mission of the Clinton County Historical Society is to encourage community involvement in the preservation, education, and promotion of Clinton County history and genealogy for the benefit of all people for present and future generations. A non-profit 501(c)(3) organization, the Society was chartered in 1948 and is governed by a Board of Trustees. Born in Port William, Pat graduated from Wilmington High School and attended Wright State University. He is a previous Clinton County Commissioner and served two-terms as Clinton County Sheriff. Pat is a contributing columnist for the Wilmington News Journal. Stan is a retired construction executive, living in Greene Township with his wife Georgialia. When he isn’t attending History Center board meetings, you can find Stan golfing, flying, traveling or visiting his six grandchildren. Suzanne is a descendant of the Sewell and Harvey families of Clinton County. She is a member and past president of the Clinton County Genealogical Society and member and treasurer of George Clinton Chapter DAR. A graduate of Ohio State University, she has had a career in education, corporate advertising, and market research. Her volunteer experience includes Treasurer, Junior League of Chicago, American Cancer Society Fund Raising Chair in Huntington Harbour, California and Neptune Beach, Florida. Patti Herron is a shareholder in the firm of Wagenseller, Foley, Hollingsworth & Co., Certified Public Accounts. Since 1984, she has been actively engaged in providing accounting, tax, management advisory services and financial and estate planning to a wide variety of closely held companies and individuals. Patti has a practice emphasis in agri-business accounting and farm tax planning and advisory services. A graduate of Blanchester High School, Harry received his Bachelor Degree from Morehead State University and his Masters in Education from Xavier University. He taught social studies at Blanchester for 30 years, served as a member of Village Council for 6 years, and served as Mayor of Blanchester for 8 years. Harry and his wife Judy have two daughters. Lauren is a lifelong resident of Wilmington. She graduated from Wilmington High School, Wilmington College, and Capital University Law School. She is a partner at the law firm of Buckley, Miller, and Wright. Lauren also serves on the boards of the Clinton County Foundation, the Free Clinic of Clinton County, the Clinton County Bar Association, and Law Library Board. Susan’s ancestors have lived in the Wilmington area since 1804. She and her husband, Nial have been married 52 years and also reside in the area. They have a son and a daughter. Susan is currently a member of 5 lineage societies, as well as the DAR and Colonial Dames XVII Century. She have been involved with the genealogy society and library for 15 years. A little known fun fact, her grandparents were charter members of the Clinton County Historical Society. A life-long resident of Clinton County, Jennifer is a graduate of Wilmington College, and a former Elementary art teacher in the Wilmington School District. 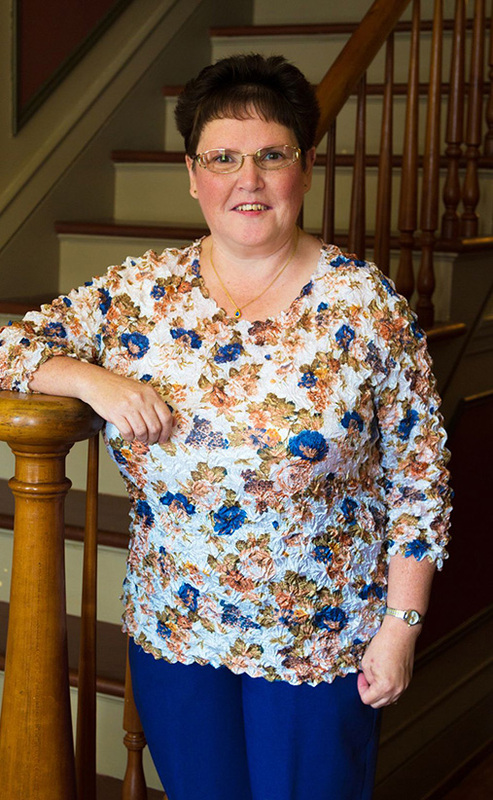 Her community commitment extends beyond the Board of the Clinton County Historical Society; she also serves on the boards of the Wilmington Schools Foundation, the Murphy Theatre, and The Health Alliance of Clinton County. Wilmington native, Nicki Bennett, has a passion for genealogy and local History. She has been a teacher at Lynchburg-Clay for over twenty years. Tim was raised in Clinton County and received a juris doctorate from the Ohio State University’s Law School. Tim has been a judge since 1985, originally serving for fifteen years as the Clinton County Municipal Court Judge. Since 2001 he has served on the bench of the Clinton County Common Pleas Court. Taylor is a descendant of a long line of Quakers of the Hadley-Bevan and Moore families and is an 8th generation Clinton Countian. He is a graduate of Wilmington High School, Butler University and holds a Master Degree Planning from the University of Cincinnati-College of Design, Architecture, Art, and Planning (DAAP). He serves as the Executive Director for the Clinton County Regional Planning Commission. Locally, he serves on the board of Energize Clinton County (ECC), Main Street Wilmington, and the Clinton County Trails Coalition. A Blanchester native, Richard has resided in Clinton County most of his life. He and his wife, Carol, live on a farm that has been in the family since the 1800s. He is certified shooting instructor and a volunteer adviser for Clinton County On-Target 4-H Club. Other interests include travel, reading and archeology, specifically that of Ohio and Clinton County. Graduating from Wilmington High School in 2013, Shelby is a Clinton County native. Shelby earned her bachelor’s degree in History and Political Science from Ashland University in 2017. She is an Ashbrook Scholar Alumna and Gilder Lehrman Institute of American History Scholar. 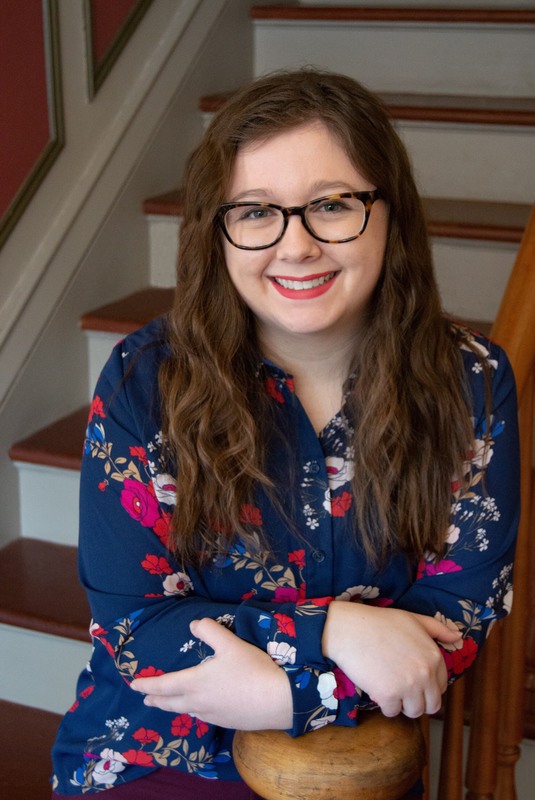 Currently earning her masters in Public History, Shelby will graduate from Northern Kentucky University in Spring 2020. Shelby currently lives in Wilmington with her family, Jeff, Buffy, and Molly. A New Vienna native, Bev has resided in Clinton County most of her life. She is a graduate of East Clinton High School and attended Cincinnati Christian University. Bev worked in the banking industry for over 30 years and is a current member of the Wilmington Lions Club, serving as the editor of their bi-monthly newsletter. Bev and her husband John currently live in the Wilmington area. Housed in an 1835 Greek Revival residence, Clinton County History Center has a touring museum. 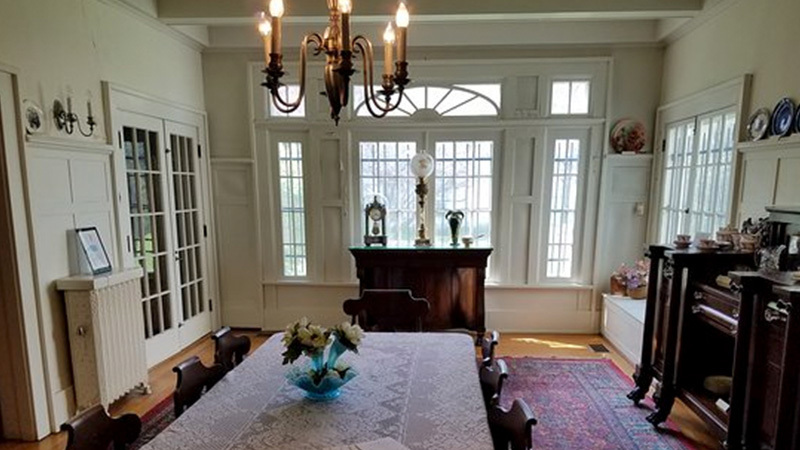 The home was purchased by Matthew Rombach (General Denver’s father-in-law) in 1855, and is also referred to as Rombach Place Museum. 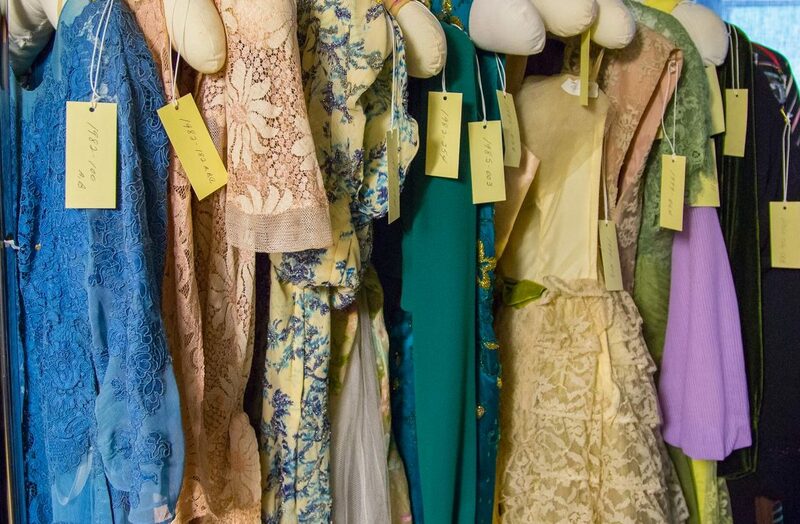 The museum features rotating exhibits that highlight different artifacts and textiles in the collection. Exhibits also include the largest collection of Eli Harvey, internationally known Quaker artist, paintings and sculpture; Carl Moon photographs; artifacts of General Denver’s military and political career; medical and dental instruments; children’s toys; prehistoric Indian relics and more. 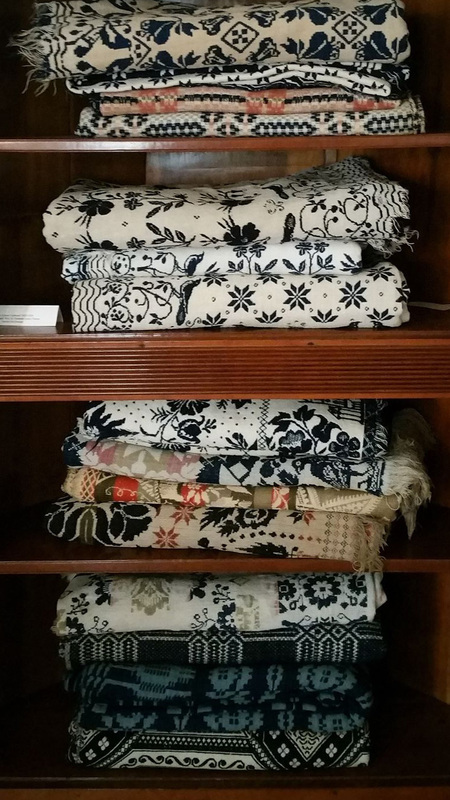 For the researcher: There is an extensive collection of textiles and Quaker artifacts available for scholarly research. The Clinton County History Center is handicapped accessible. The Clinton County Historical Society is a non-profit 501 (c)(3) organization governed by a Board of Trustees. Membership in the society is open to all with an interest in the history of our community. Membership is available at several levels and provides a range of membership benefits. The Clinton County Historical Society relies on donations, memberships, bequeaths, memorials, admission, special events, tours and return on investments for its operating funds. You can support Clinton County history with a tax-deductible financial gift. Many giving opportunities are available. If you would like to contribute, please make your check payable to the Clinton County Historical Society, with your choice of giving on the memo line. Send to PO Box 529, Wilmington, OH 45177 If you any questions, please contact Executive Director Shelby Boatman at (937) 382-4684 or via email. Annual Giving Contributions to the Clinton County Historical Society’s Annual Giving Fund are an investment in our role as a historical and cultural institution. Revenue generated from this fund goes to support the operations of the Society, including preservation supplies for our collections, educational materials and exhibit preparation and installation. Bequeath or Memorial Bequeaths and memorials to the Clinton County Historical Society can honor your passion for Clinton County history or honor a friend or loved one’s life. No gift is too small. Planned Giving Numerous options are available through Planned Giving. While we cannot provide financial or legal advice, we would be happy to meet with you and your advisor to discuss your gift plan. The research library has a comprehensive collection of genealogy material. The History Center also maintains archives of photographs; scrapbooks; manuscripts; Township ledgers; club and organization records; topical files; historic buildings; school, business and church/meeting information. For research requests regarding Clinton County history, not related to genealogy, please contact the History Center at (937) 382-4684 or e-mail us at Info@ClintonCountyHistory.org. The Clinton County History Center makes images available for a single use, specific project or production. Images furnished by CCHC may not be resold, licensed, rented or reused in any other production or for any purpose other than originally specified. All requests for photographic reproduction must be submitted to the Executive Director. There is a $10.00 use fee per photograph, plus reproduction costs. The Clinton County History Center reserves the right to refuse any requests. Conference Room may be rented for $15 an hour with a 2 hour rental minimum. $50 the first hour and $25 each additional hour, with a 2 hour minimum. Contact the History Center for terms and availability. The History Center retains right of refusal. Civil War general, territorial governor and potential presidential candidate, James W. Denver personified “manifest destiny.” A room of the museum contains General Denver’s personal library and artifacts from his military and governmental careers. Born in 1817 near Winchester, Virginia, he and his family moved west to a farm near Wilmington in 1831. After receiving a degree from the Cincinnati Law School, he moved to Platte City, Mo., and opened a law office with a partner. Always in motion, Denver recruited a volunteer infantry in the war against Mexico and served under Gen. Winfield Scott. He led a party overland to California during the Forty-niner gold rush. 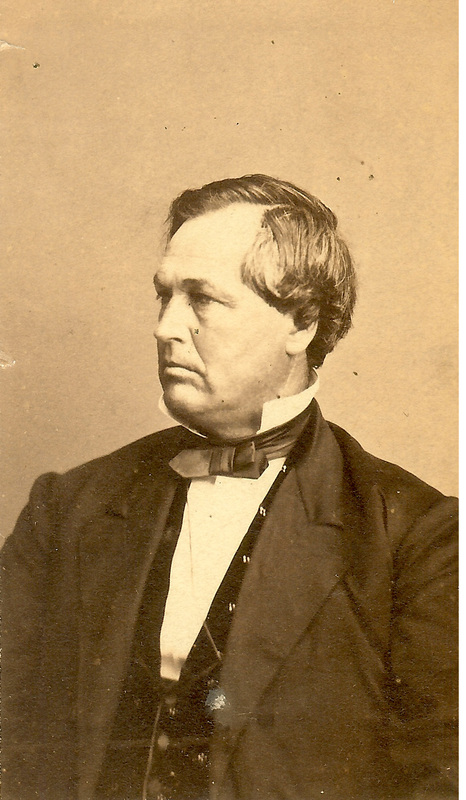 He served in the California State Senate, was appointed secretary of state from California and elected to Congress from California in 1855. That same year he married Catherine Rombach, daughter of Matthew Rombach of Wilmington where the couple made their home. Involved in national politics, Denver served as commissioner of Indian Affairs in 1857, governor of the Kansas Territory during the era of “Bleeding Kansas,” and in the Civil War became brigadier general of all federal troops in Kansas. 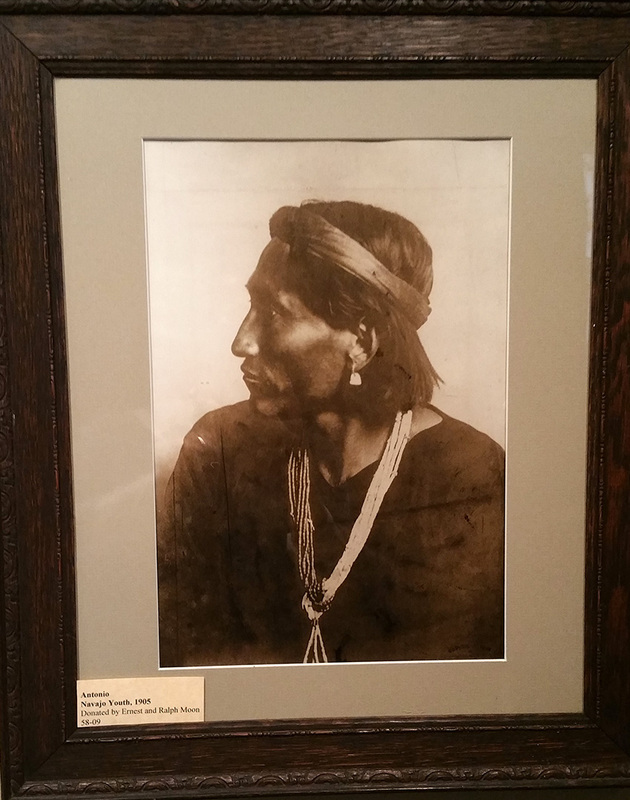 In the later years of Denver’s career, he organized a Washington, D.C., law firm representing Indians against the U.S. government for treaty violations. 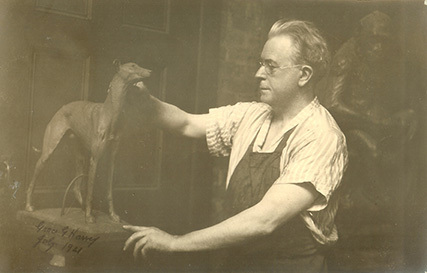 Eli Harvey, internationally known artist and sculptor, was born Sept. 23, 1860, near Springfield Friends Meeting in Clinton County, and died Feb. 10, 1957, at his home and studio in Alhambra, Calif. His ashes are buried at the Harvey family lot in Springfield Friends Cemetery. 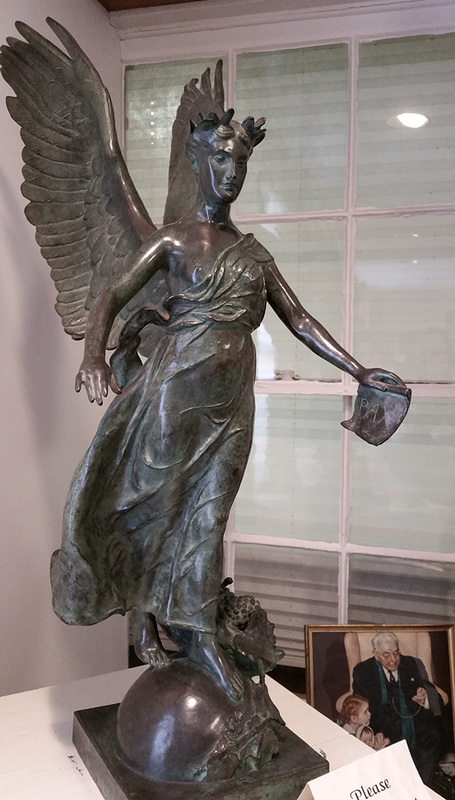 Before his death, Harvey gave many of his paintings and bronzes to the historical society. The collection of paintings and sculpture shown in the gallery at Rombach Place are by Harvey including a bronze copy of a bull elk, symbol of the Order of Elks, commissioned in 1904. Specializing in the sculpture of animals, Harvey’s credits include Brown University’s mascot, “Brown bear,” the J.C. Penney bull for mail order merchant James C. Penney, and decorations for the lion house at the New York Zoological Park. Reflecting play from the mid-1800s to the early 20th century, the toy room features toys that taught little girls to be mothers, and little boys to be men. This room contains dolls, carriages, play dishes, a carpentry box, scooters, marbles, and more. 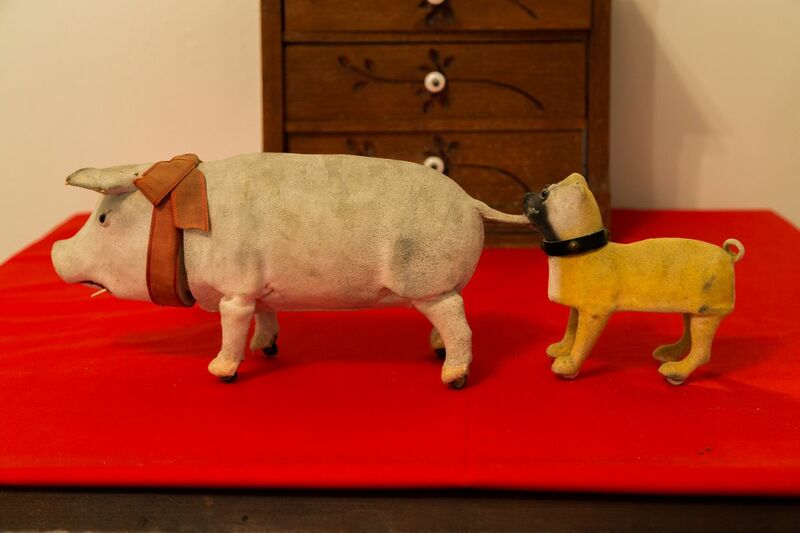 Made of porcelain, glass, wood, tin and cast iron, these toys were made to last a lifetime and beyond. The Textile Room includes Quaker (the Society of Friends) quilts and coverlets. Quakers played an early and prominent role in the settlement of Clinton County. Quaker influence remains today with over a half dozen active Quaker meetings in Clinton County. In 1870, a Society of Friends purchased the struggling Franklin College and established the Quaker college Wilmington College. Of particular interest in the Textile Room is the abolitionist quilt, circa 1842, made by abolitionist Quakers in Clinton County and Newport, Indiana. Measuring about six feet square, each of its 16 blocks is signed by its Quaker woman maker. 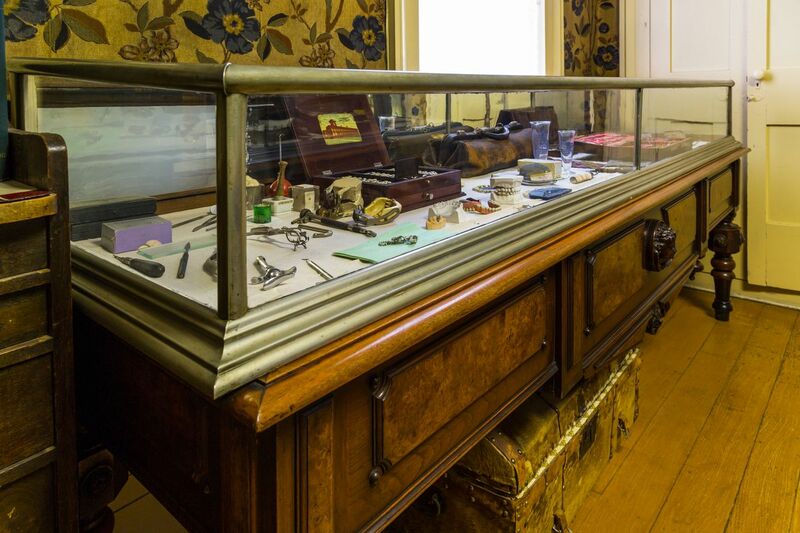 In the Artifact room are 19th and early 20th century artifacts such as medical and surgical equipment, hand tools, kitchen utensils, an Edison cylinder phonograph, and Adena Indian relics.The Society has a large textile collection and periodically features different eras of fashion.